This CD constitutes a historical musical document that has been recorded in Berlin in 1988, just a year before the fall of the Berliner Wall. The “great lady” of the Berliner Ensemble and excellent interpreter of Brecht’s songs, Gisela May, meets the Greek singer Thanassis Moraitis. 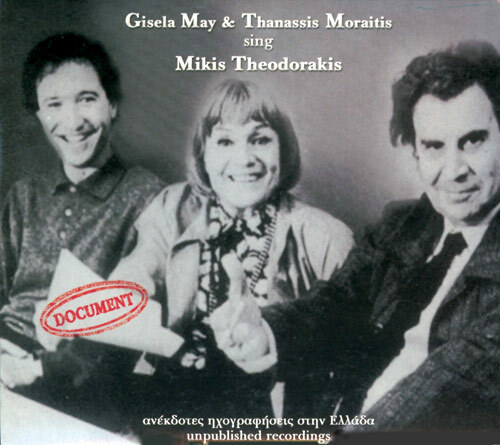 Together, they sing an anthology consisting of important compositions signed by Mikis Theodorakis, one of the most significant Greek composers such as “Asma Asmaton”, “Antonis”, “To gelasto pedi” and others.